Steps are also being taken for more recruitment of para teachers. West Bengal Chief Minister Mamata Banerjee on Monday said her government was mulling over a two-pronged strategy to meet the problem of dearth of teachers in state run schools. While class 5 would be brought to primary level, graduates would be recruited as interns in primary and secondary schools, she said. Bringing class 5 in primary level “could in a way meet the dearth of teachers at class five and restore a proper balance between teachers and students at that elementary level before students enter secondary schools,” she said. 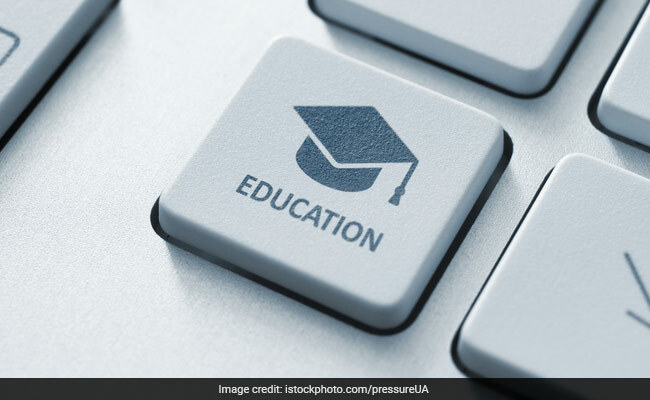 The government is also formulating a proposal to recruit graduates as interns for two years in institutes facing dearth of teachers at both primary and secondary levels, she told a press conference in presence of Education Minister Partha Chatterjee. There is more than adequate teachers in some areas, while there is an acute dearth of teachers in many interior pockets of Sunderbans, Jhargram and Dooars, she said. “Graduates, fresh from colleges, can be recruited as interns in the primary and secondary schools in those pockets,” the Chief Minister said. The interns at the primary level could get Rs. 2,000 every month and those at secondary level Rs. 2,500, she said adding that this proposal was forwarded to senior government officials for exploring the implementability. The performance of the interns could be monitored regularly and if found satisfactory, he or she would be considered for regular recruitment, the Chief Minister said. Steps are also being taken for more recruitment of para teachers, she said while briefing reporters after a meeting with vice-chancellors of universities and colleges, and chiefs of state education boards. Complimenting private universities like St Xavier’s for working towards providing better educational facilities in rural areas, she said a committee has been formed which will ensure that premier city universities help higher educational institutions in districts for improving their academic standard and infrastructure. “We have formed an umbrella committee having the education minister, higher education secretary, VCs of Jadavpur and Calcutta University as members. The committee will submit a report soon,” she said. She said 28 universities have been set up in past seven and half years in the state while 10 more will come up soon. “We have completed building toilet for girls in 95 per cent educational institutions, while the number of girl students have spurted from 5.62 lakh in the past to 9.74 lakh at present. The total number of students has risen from 13 lakh to 20 lakh,” she said. She said while three new Hindi colleges had been set up in seven years, two more Hindi colleges and two Urdu colleges will also be established. As part of promoting languages like Alchiki, the education department was framing curriculum of class 12.